Trust us when we say that a strategic hairstyle will make the world of difference when it comes to enhancing your face shape. Let’s face it (pun intended), your mug is the moneymaker, and your hair should frame it according to what suits it best. Simple enough, right? The great thing about determining your face shape and finding an appropriate hairstyle is that it should work to enhance certain favourable features while exaggerating smaller dimensions and concealing larger ones. 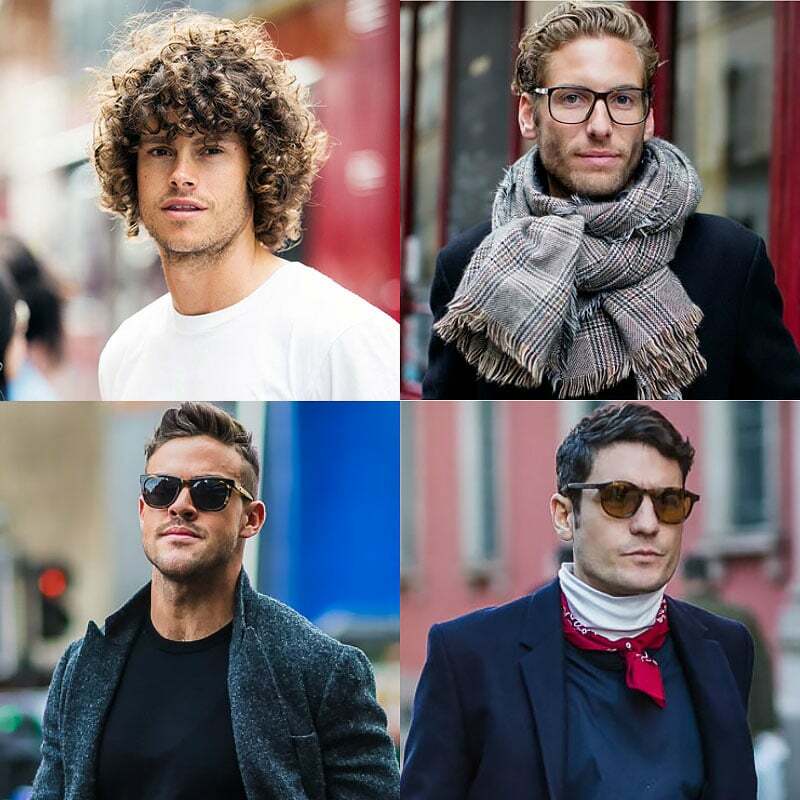 As with dressing and grooming, you need to play to your strengths and find a hairstyle that will suit you. Keep in mind that your individual features and colourings will also aid you in determining what hair styling will look best on you. 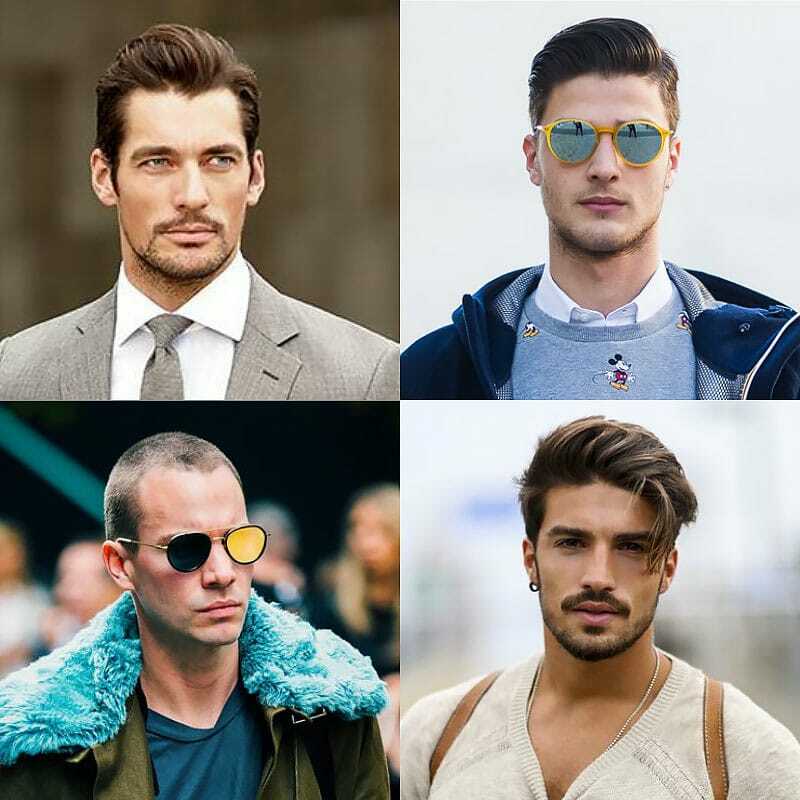 Luckily, our guide to finding the perfect men’s hairstyles for your face shape will show you the best ways to enhance your finest features. 1 What’s My Face Shape? You will need first to study your face. 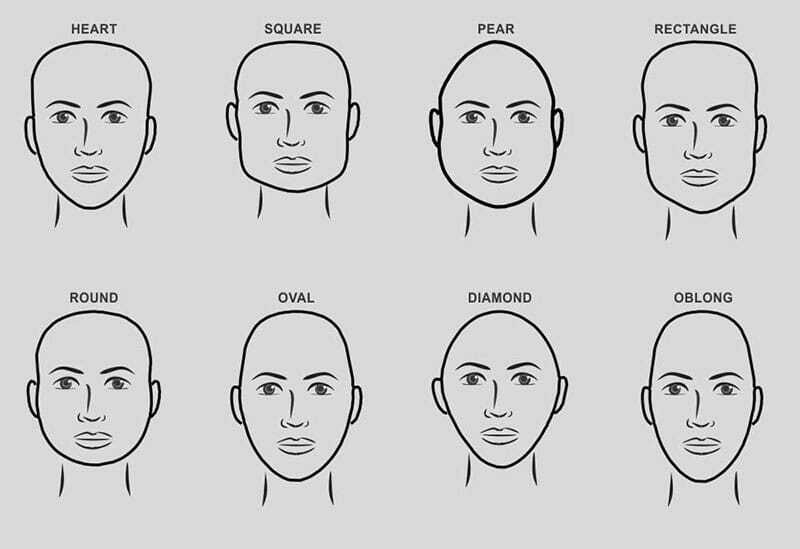 While that sounds a little weird (and a touch narcissistic), it will help you determine your face shape. Pull back your fringe and pay attention to the length and width of individual features. The most important dimensions to focus on is the length of your face, the width of your forehead as well as the width of your cheekbones, jawline and chin. 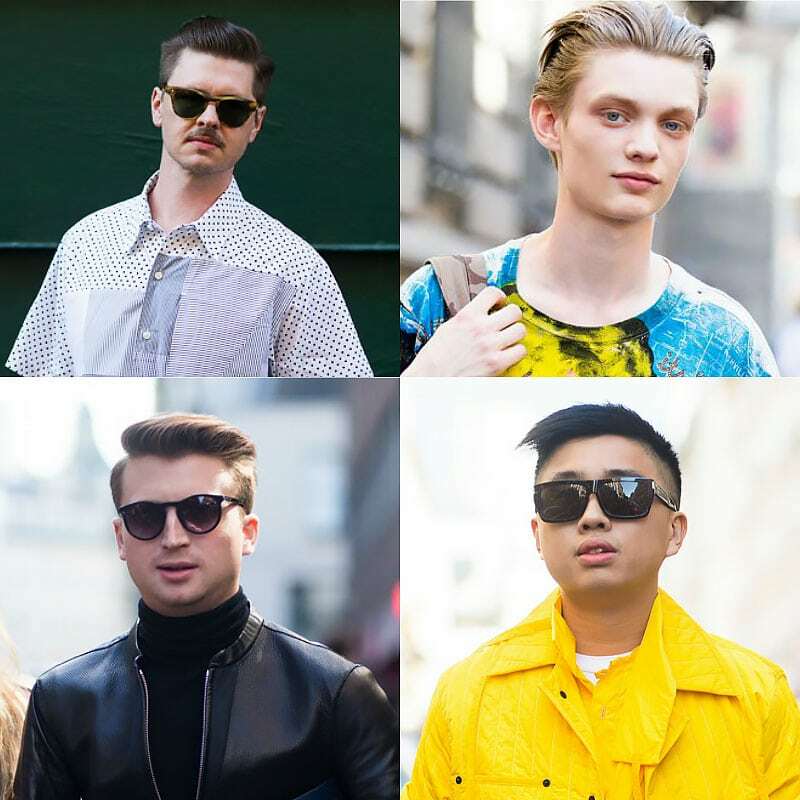 In comparing these dimensions, you will be able to figure out which face shape you are and commit to a haircut and hairstyle that is most suited to your individual facial proportions. Take a look at the image below to see what face shape you are. Concerning hairstyles, you need to be conscious that you do not further elongate your face. The trick is to ensure that your face doesn’t look longer than it already appears. Pompadours avoided – you will need to opt for more balanced hairstyles without too much distinction between the sides and the top of your hair. A side part will work well, working to lend a bit of a dimension to a shorter hair length. 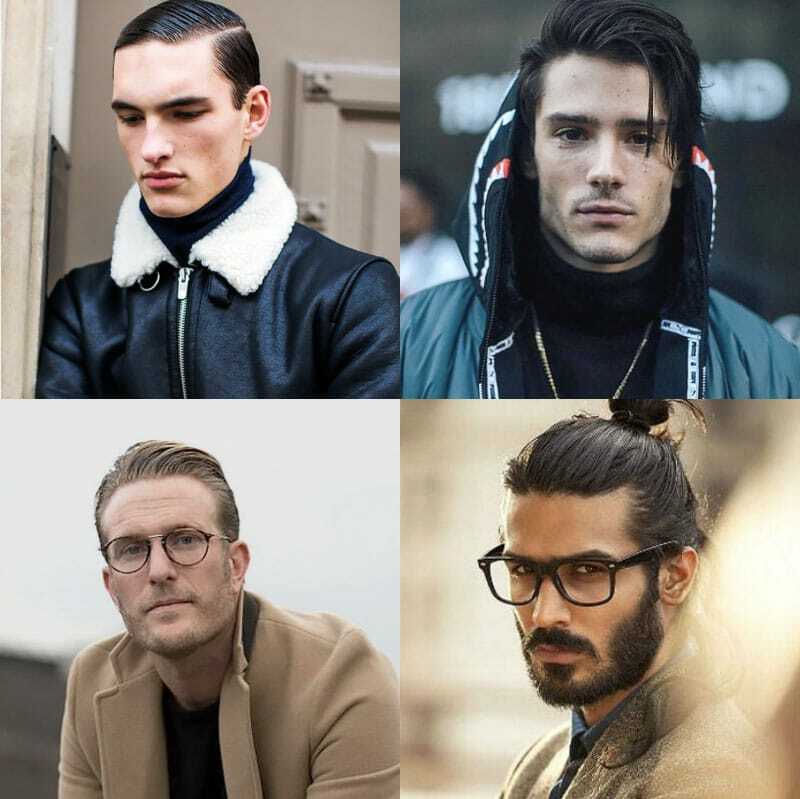 A slicked back hairstyle or a sleek man bun will also better balance out the proportions of your face. Keep in mind that when you are styling your hair, ensure that everything looks neat as you will not want to add too much volume. Remember to stick to lightweight pomades that will keep your hair looking sharp all day but won’t add excessive height to your longer face shape. You’re in luck. Oval face shapes are proportioned well and can handle a broad range of different hairstyles and lengths. Given most hairstyles suit this face shape, it is all about your personal preference with how you style your hair. A conservative quiff works well, but there is also a lot of room to experiment with longer lengths and modernised cuts. 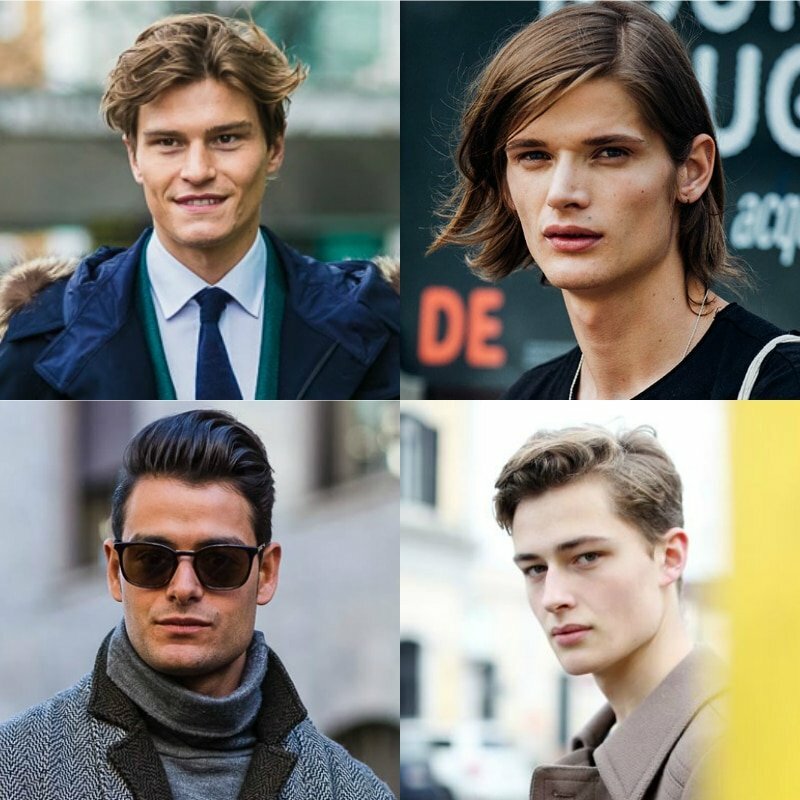 Your face shape can handle a voluminous pompadour or even longer, fuller rocker-esque shoulder length hair. An oval face shape can deal with a shaved head. Regarding product, feel free to choose from the wide range of finishes and holds. You’re working with a strong jawline, which should be emphasised. 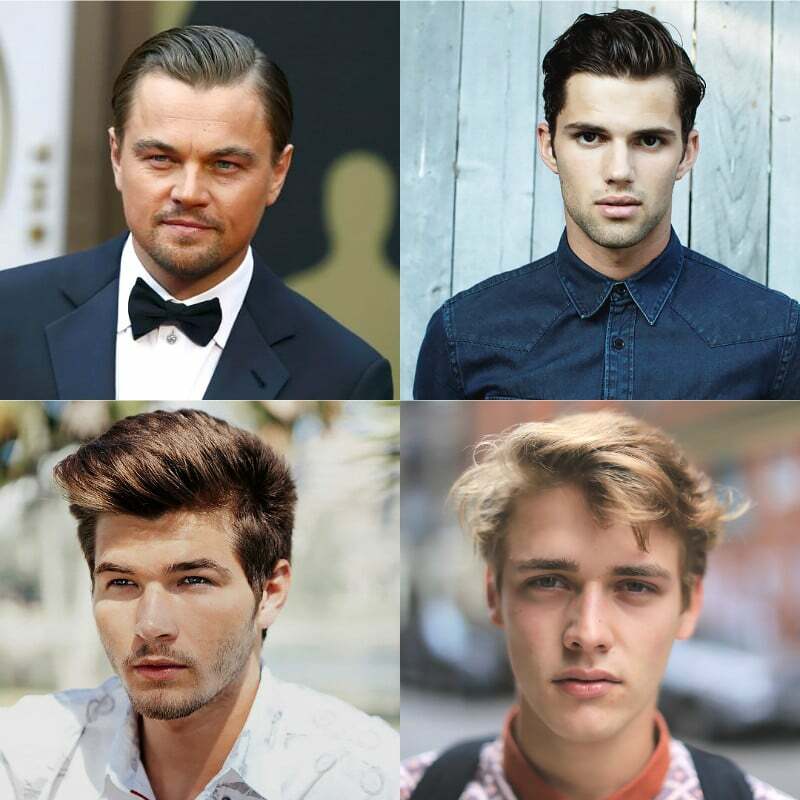 We recommend opting for an undercut, which will make the most of your distinctive features. As this face shape is versatile with different types of hair, don’t be afraid to experiment with other lengths and styles. We recommend a lot of volume when styling your hair, so focus on fullness and add as much product as you desire – this face shape can handle a significant amount of hair. A quiff works well, whether done more classically or with a modern edge and also try out deeper side parts, which will enhance your features. side part works very well for gentlemen with diamond face shapes so ensure that your hair is textured and a little messy, which will complement your facial features better. A textured or angular fringe will also balance out the wider proportions of your cheekbones with your forehead, lending a more balanced aesthetic. Your hairstyle needs to create angles, given round faces naturally, lack shape and dimension. To elongate your face, try out a hairstyle with longer proportions up top and shorter sides. 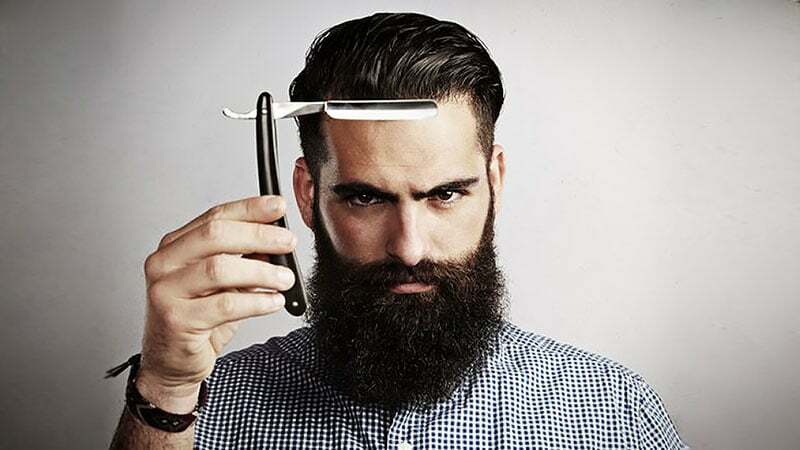 A pompadour will do just that, working to create more dimension and giving your baby face a more pronounced look. Note that a side part will also create more angles and give you a more mature look. Think thicker hair when it comes to styling your mane if you have a triangle face shape. You will need to be strategic, given that you want to balance out your wider jaw with your more narrow forehead. Several hairstyles will work for this face shape. A quiff, fringe or a pompadour will all work to emphasise the fullness of your hair. Remember to use a thicker product to enhance volume, lending to more proportion with the look. Rectangle: Pompadour or side part. Oval: Pompadour, side part or quiff. 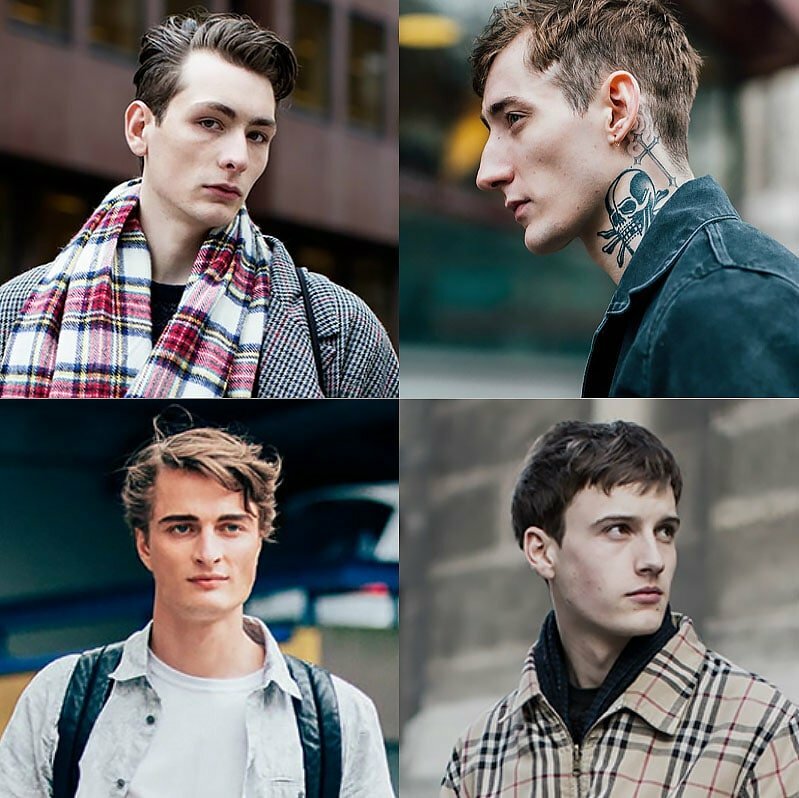 Square: Undercut, quiff or side part. Heart: Side part or quiff. Triangle: Textured pompadour, curly top and quiffs. Round: Side part, French crop, pompadour. Diamond: Messy fringe and wavy side part.